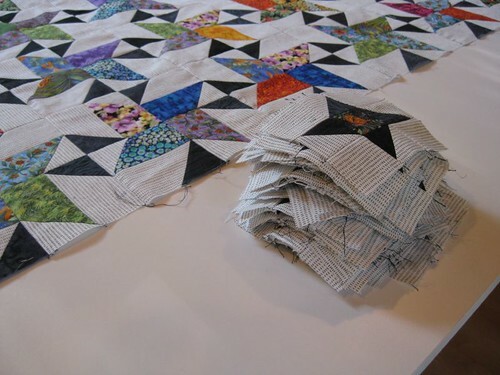 I have been making serious progress on the Starstruck quilt. 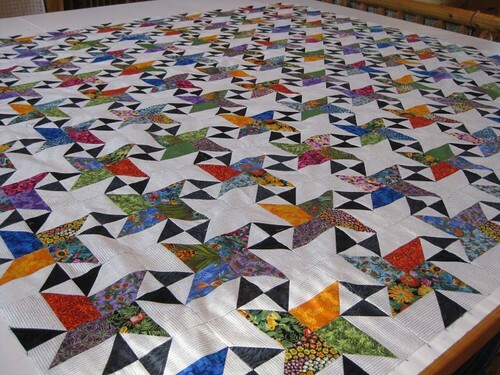 This is the center 100 stars pieced together. I will be adding an inner 2 inch black border, then a border of the little cream and black Friendship stars, then the outer 2 inch black border.